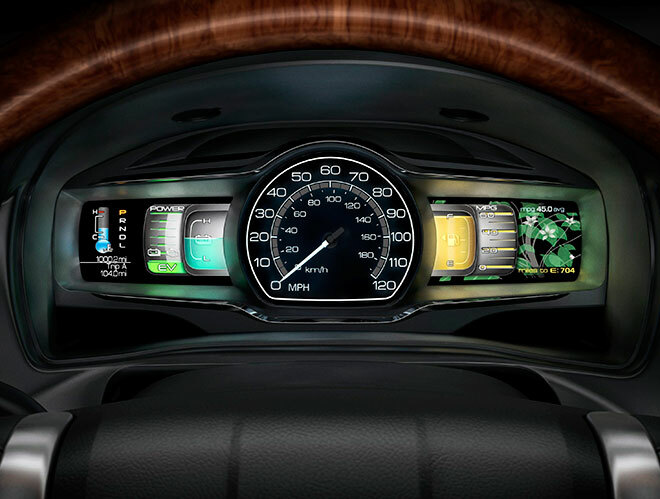 Although some studies have shown that next-gen dashboard displays make us more-efficient drivers, none of them has created a baseline of driver behavior from which to truly compare the changes. Researchers at University of California campuses at Berkeley, Riverside and Davis have launched a study to do just that. They want to see how much drivers change their behavior in the face of instant feedback on the efficiency of their driving habits. First, is that a grammar error from WIRED article?! Shouldn't it be "...have created a baseline...". I'm all for more efficiency, but I'm still not 100% convinced that this will have a significant effect on long-term habits. I know the point of this "study" is to establish a baseline to be able to gauge the actual study. The type of person that would always refer to the display for driving behavior is probably more of a niche than anything else. Anybody whose ever driven a Prius briefly can attest that trying to "beat the clock" in this case, the mpg meter, is fun for about 5 minutes, then you realized you're going 31mph on I-95 and being glared at by everybody around you. You then say "screw it" and drive normally. or is that just me? and yes I still hate the Prius.